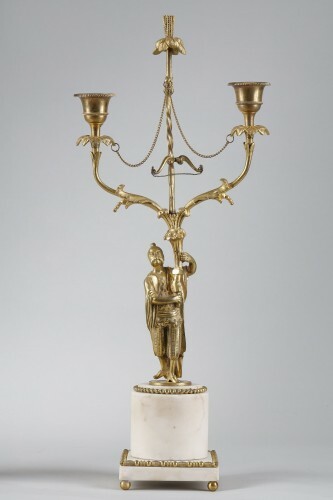 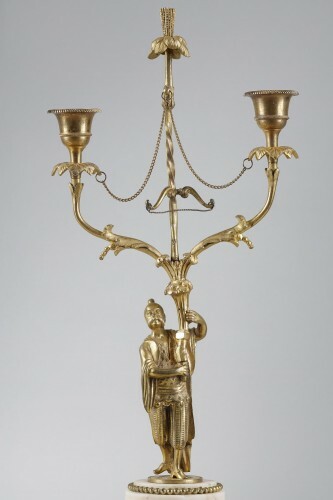 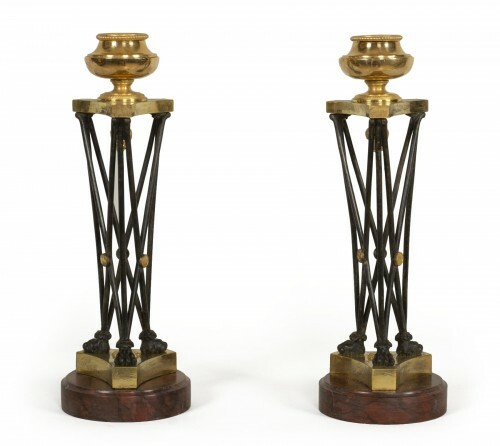 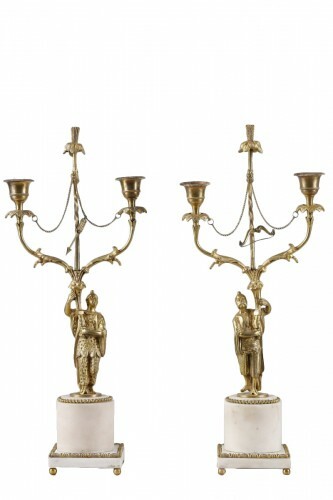 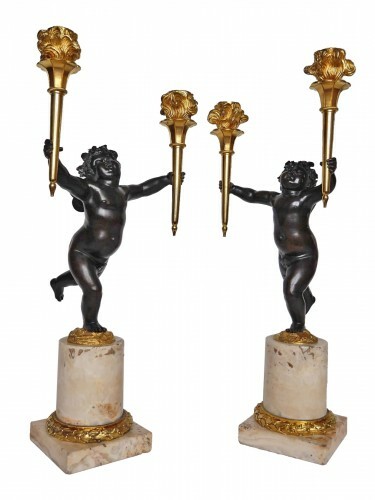 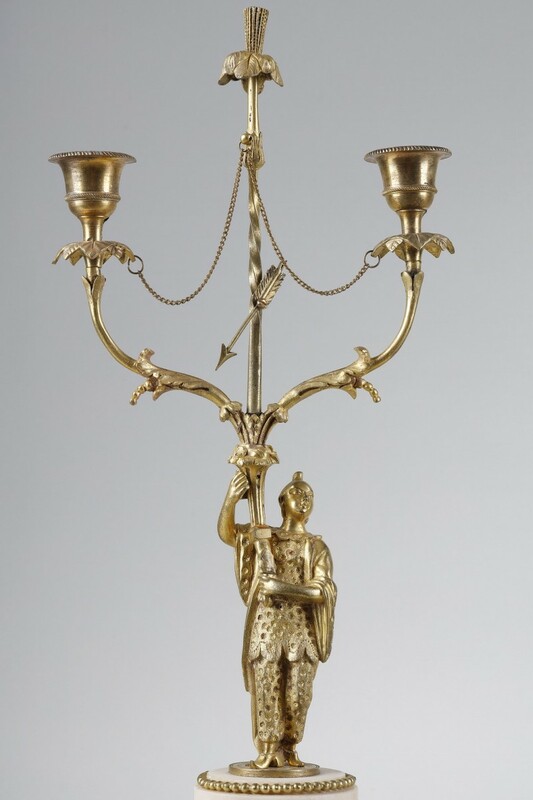 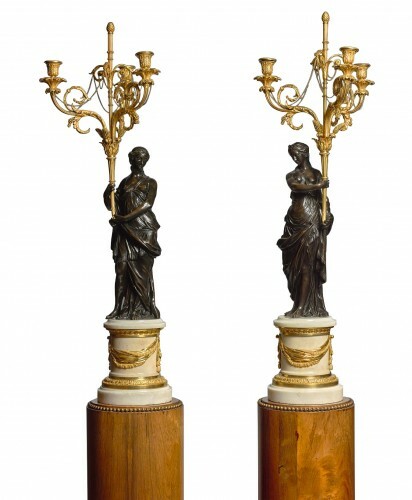 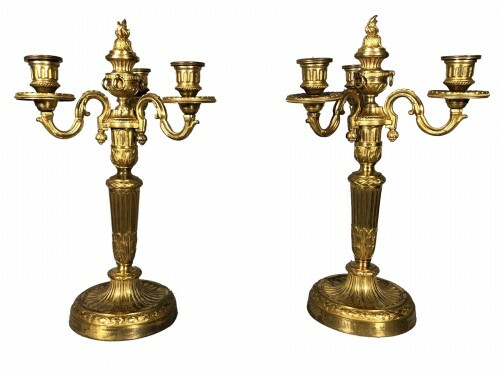 Pair of Louis XVI gilt bronze candlesticks. 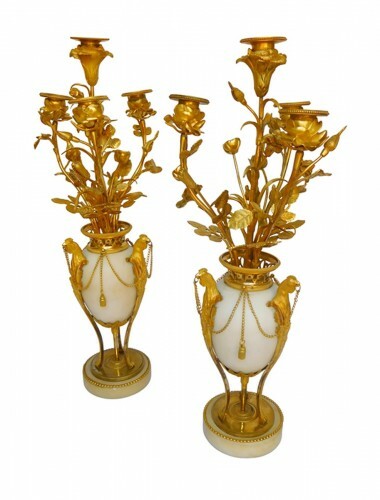 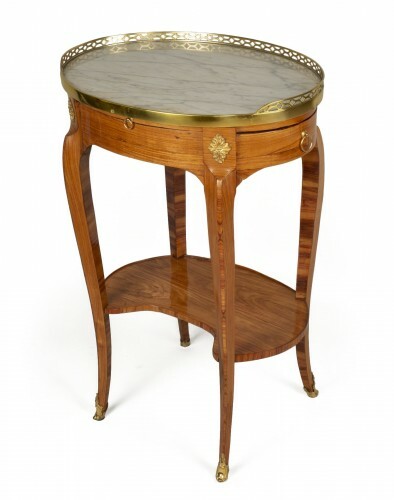 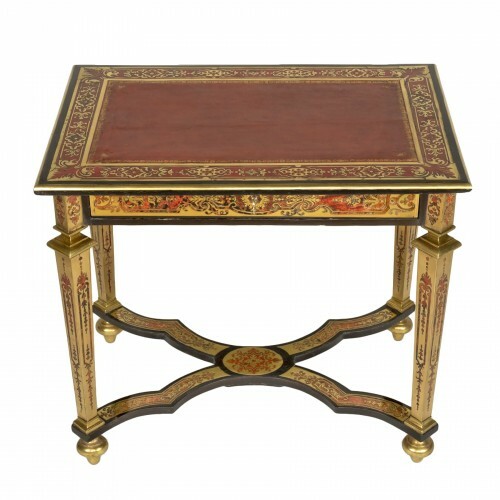 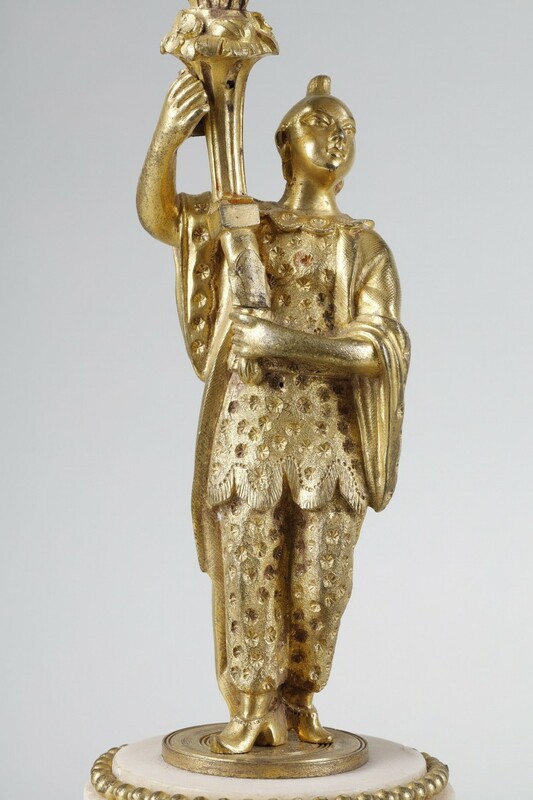 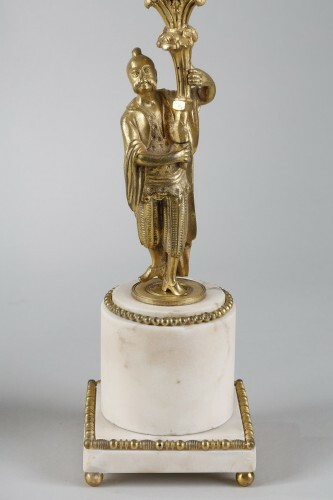 Their cylindrical bases in Carrara marble are decorated with beads and gilt bronze. 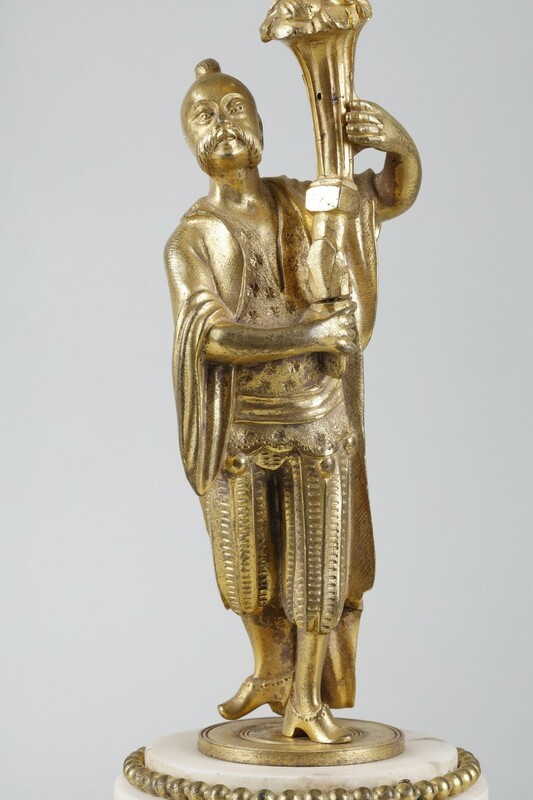 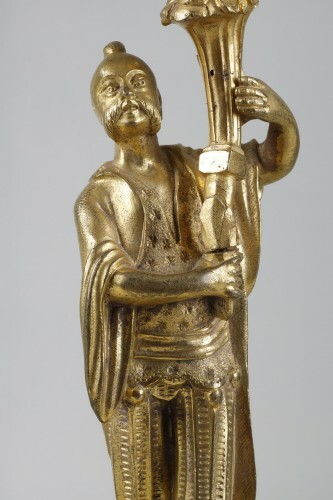 They support two Chinese characters with different faces and clothing holding two candlesticks and a stylized spear decorated with arrows, chains and bronze beads. 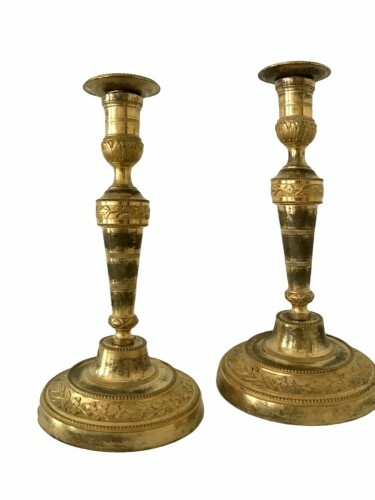 These candlesticks are based on a square Carrara marble decorated with bronze pearls.